It finally happened this morning. 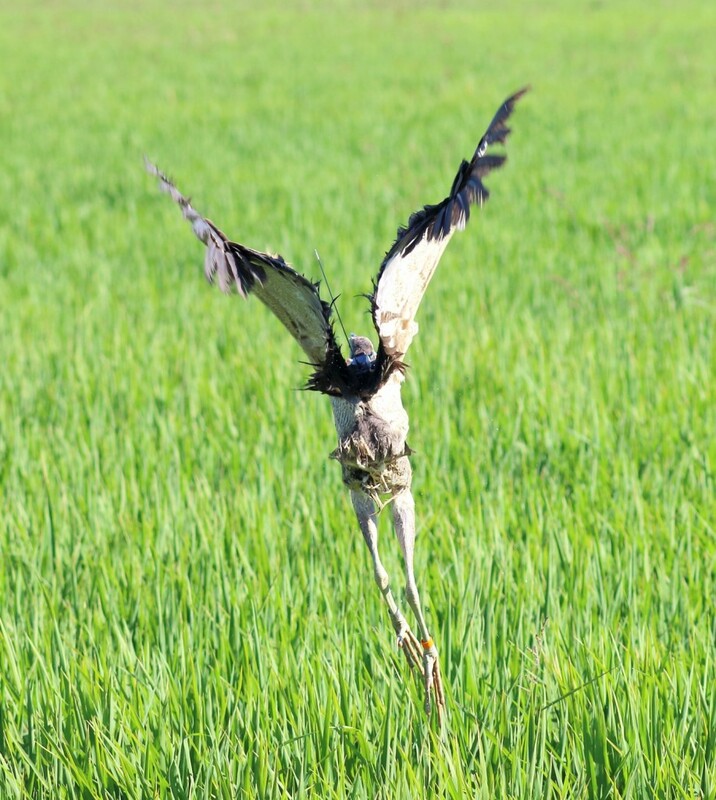 We are delighted to introduce you to Vin, another Coleambally local, caught and released in a rice crop. 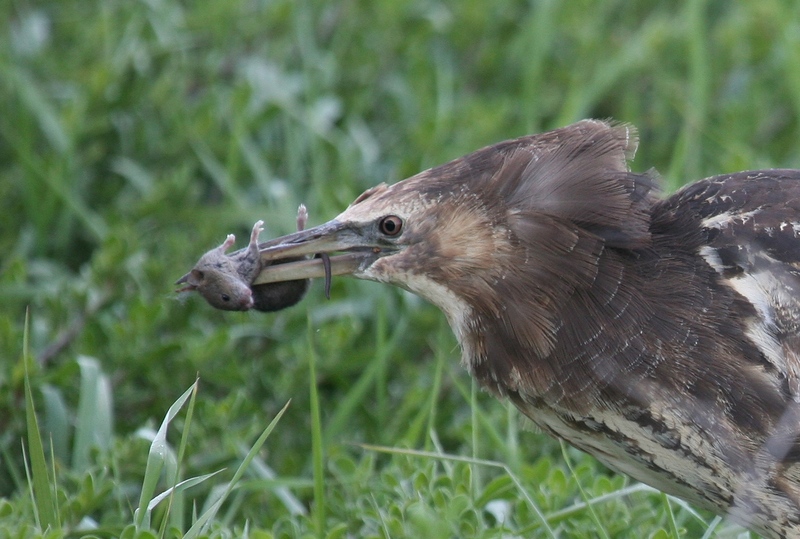 This booming male Australasian Bittern has joined Robbie and become the second member of the exclusive Tracking Bunyip Birds club. 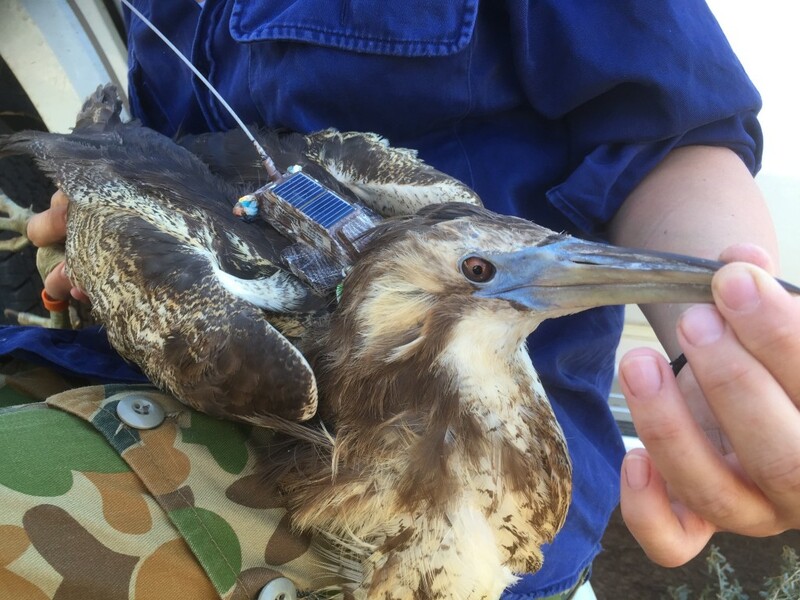 He now carries a 22-gram, solar-powered GPS satellite transmitter that will provide valuable insights into the secret lives of these mysterious, endangered birds. 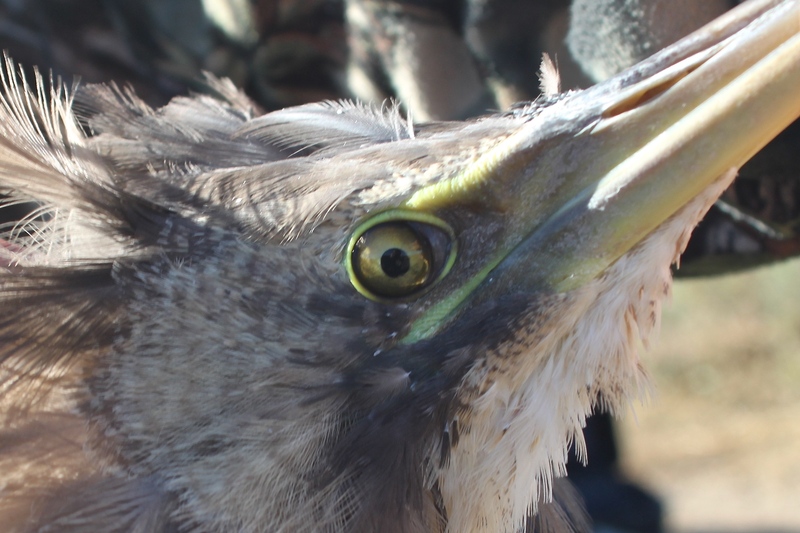 Inka Veltheim, Andrew Silcocks and I extend huge thanks to local rice farmers and our trans-Tasman brains trust, Emma Williams and John Cheyne, without whom we would almost certainly be still trying to catch our second bittern. With their help, Gary Herring was able to construct custom-designed traps, using mirrors and call playback. Thanks Dad. 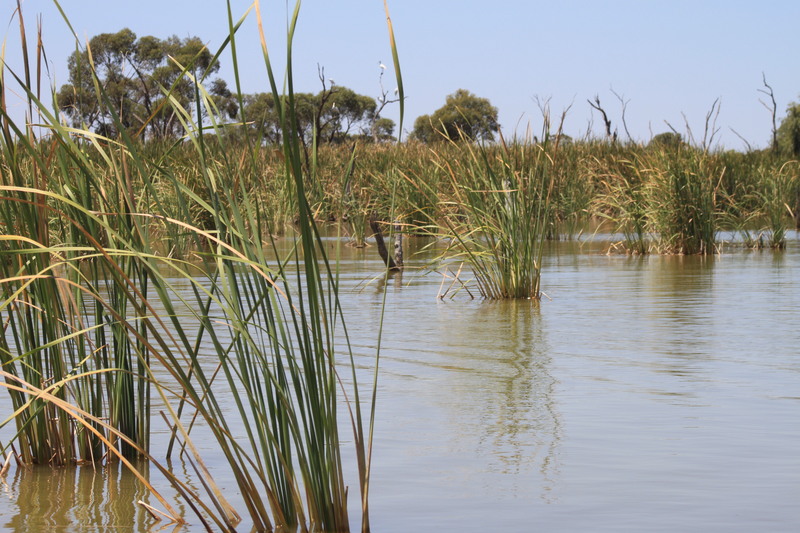 During the crowdfunding campaign, the Murray-Darling Wetlands Working Group was one of the organisations to buy naming rights. 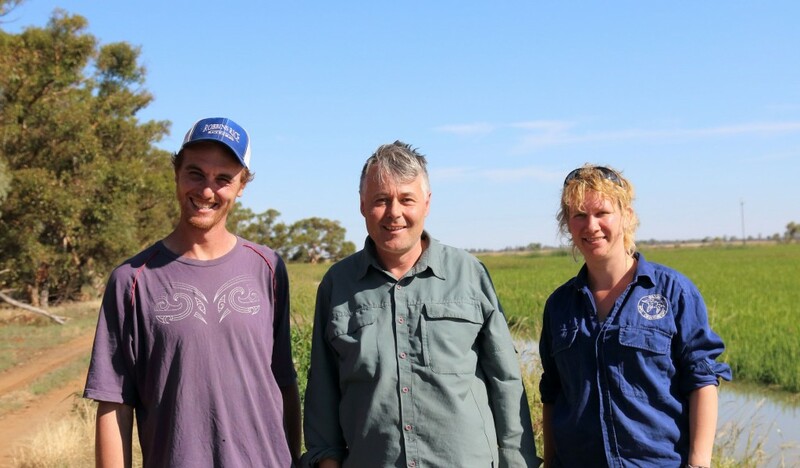 Vin Byrnes from Dareton in NSW was a true champion of wetlands. 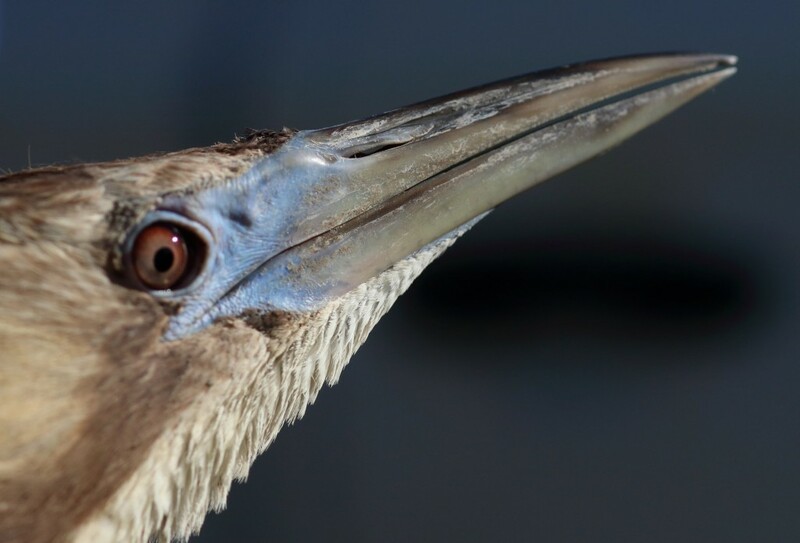 With over 20 years dedication to the Murray Darling Wetlands Working Group and its predecessor, the naming of this bittern is a tribute to Vin, who passed away in July 2014. Congratulations Matt, Inka and Andrew on the catch and release of Vin!! The effort and patience you have put in to catch Vin is amazing!! 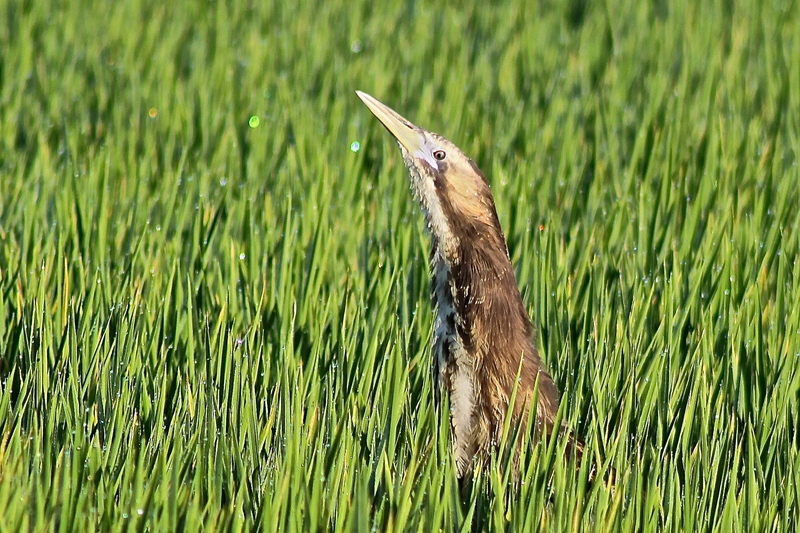 It’s great to see another healthy Bittern currently residing happily in a Coleambally Rice paddock where food is abundant. 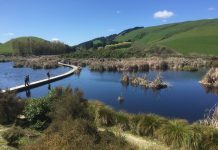 This is truly a shining example of how “the environment and irrigators can exist together”. Thanks Ian. We were starting to despair but he was worth the wait. It was brilliant that you could be there. Thank you for all of your support. We love your bitterns. Great photos and fancy hat Matt! Thanks Emily. It was the lucky charm we needed. Thanks RRC! Fantastic result Matt, Inka, Gary and Andrew! 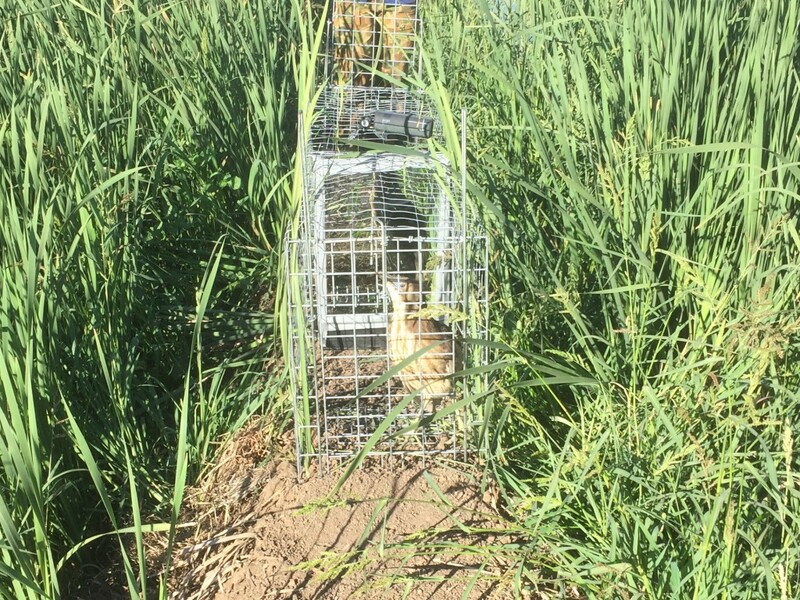 I know how many hours of thought, trap construction and in field monitoring you guys have put in. 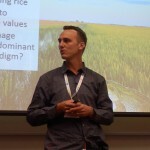 The Bitterns in rice team has defied the odds again! Your efforts are much appreciated. Well done on your persistence 🙌. Looking forward to hearing of Van’s adventures. Love that he’s named after a dedicated local landholder. Great work you’re doing 😀. Thanks Em. We were close to throwing in the towel on Sunday but just needed a re-think about trap placement. It’ll be very interesting to see where he goes after harvest. Great photos Matt…. Just wondering about the one on Vin’s rear end…. Is that straw attached to him and will it wash off OK? Thanks Lynette, but I cannot take credit for the top two; they’re from Andrew Silcocks. I assume you mean the ‘straw’ on his back. That’s the antenna from the transmitter. The entire harness, made from thin string, is designed to fall apart into four pieces, but hopefully not before the battery runs out. Hi Alan, Unfortunately, we don’t know. His last fixes before we lost contact were around Stockinbingal. 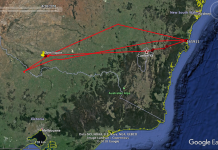 I suspect he was headed to wetlands around Goulburn and Canberra but Andrew Silcocks thinks the Hunter, so keep your eyes peeled. He has an orange band.